Some of the most cited advice for writers is “just sit down and write.” But have you ever tried to stand and write? I teach composition at different colleges near my hometown. Some of the classrooms have lecterns and/or smart carts for the computer. Sometimes I stand at the lectern or smart cart while writing journal entries with my students. Sometimes I get so into what I’m writing that I lose track of time. I realized, after a few weeks of this, how comfortable I am standing and writing. When I sit, I get aches in my neck and shoulders and lower back, even in a good chair with a computer at the right height. It’s no secret that sitting at a computer causes all kinds of damage to your body. But while standing, I did not feel the same kind of tension. So now I am considering getting a standing desk for my home office. 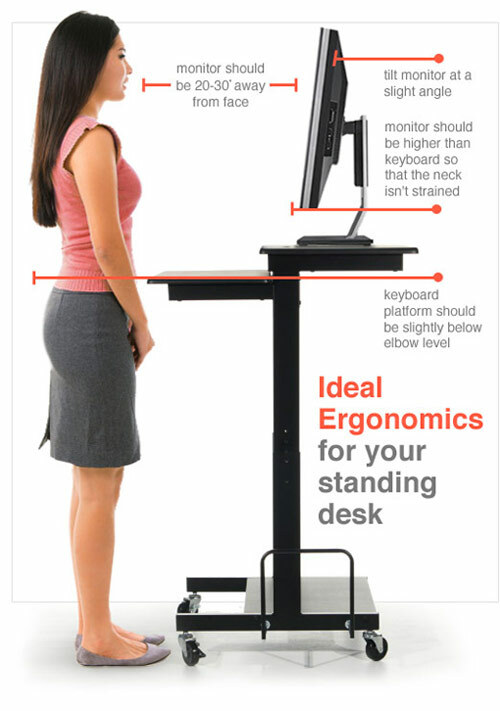 After doing some research on standing desks, I realize I am behind the times! Standing desks have been an “it” thing for a while. Writers such as Ernest Hemingway, Vladimir Nabokov, Philip Roth, Lewis Carroll, and Thomas Wolfe have all claimed to have written, at least occasionally, while standing up. What about the female writers? Have any of them written while standing up? Thinking of making the switch to a standing desk? Lifehacker.com has already done the research for you and has compiled the top 5 best standing desks, including a DIY desk, which readers have voted the best option. I doubt I’ll completely forego sitting and writing at my desk, but having the option to sit or stand sounds like a great way enhance comfort while writing, and maybe improve my posture, too. If you’re feeling really fancy and energetic, you could get one of those treadmill standing desks (!). What has been your experience standing while writing? Or what do you do to stay comfortable while writing at your desk? Chances are, when you get published the first time, it will be digitally. 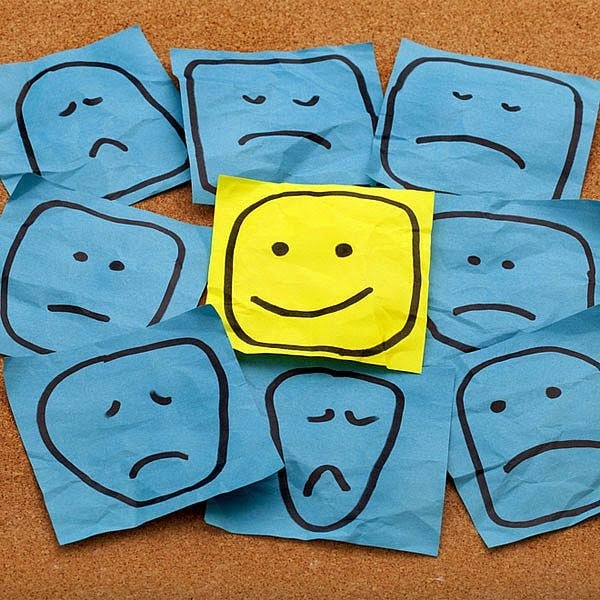 You’ll want to develop an on-line personality, aka brand, well ahead of time. 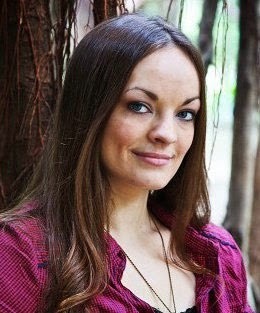 Check out my website, HeatherHeyford.com facebook page https://www.facebook.com/heatherheyford1 and Pinterest boards http://www.pinterest.com/Romance_Writer/ and you’ll see I that use the same head shot and color of blue across all my platforms. Once you have established your brand, choose two or three platforms—starting with your own website, because this will become your home base for your book sales—and apply it universally. Regardless of the path to publishing you choose, selecting a few social media platforms to be active on is an integral part of promoting yourself and your books. A sampling of some of the most common platforms as of today are facebook, twitter, Pinterest, goodreads, instagram, and youtube. But keep abreast of trends—new platforms are born all the time. Develop a set of rules you can live with, such as never posting after drinking, never engaging in mouth battles, and never responding to negative reviews. The key to presenting a good image to the reading public is to be personable, not personal. If engaging in political or controversial subjects, only do it as part of your brand. Speaking for myself, I try to always be upbeat and entertaining in my posts. There’s enough negativity in the world, right? Others try to post helpful hints or pictures of the setting of their writing, eg., Scotland or the wine country. It’s also important to genuinely interact with others instead of merely posting original comments all the time. Commiserate with others’ troubles and congratulate them on their successes. A very famous author once said: The difference between being unpublished and published is one second. Like anything else, the more you use social media, the better you get at it. You can never be ready enough for the day your book becomes a reality. Following is a list of books that helped me tremendously, both before and after I published. Best of luck with your writing career! 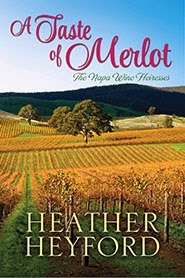 Heather Heyford is the author of Wine Heiresses Series: A Taste of Chardonnay, A Taste of Merlot, A Taste of Sauvignon, and A Taste of Sake, from Kensington Publishing. 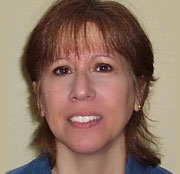 She is represented by The Nancy Yost Literary Agency. Visit her at HeatherHeyford.com, https://www.facebook.com/heatherheyford1 and http://www.pinterest.com/Romance_Writer/. Welcome to Wayne Scheer, our 2nd place winner in the Summer 2014 Flash Fiction Contest for his entry, "Blind Date, 1960." If you haven't read Wayne's award-winning story yet, then you should click here to do so. Wayne has locked himself in a room he shares with his computer and a turtle. (Wayne’s retirement, not the turtle’s.) To keep from going back to work, he published hundreds of short stories, poems and essays online and in print. He’s been nominated for four Pushcart Prizes and a Best of the Net. Wayne lives in Atlanta with his wife and can be contacted at waynescheer[at]gmail[dot]com. WOW: Congratulations, Wayne, on winning 2nd place. Tell us where you got the idea for "Blind Date, 1960." Wayne: Although the actual story is fiction, it's more autobiographical than I care to admit. Where the actual idea for this story came from, who knows? There's a magic land where plot ideas grow on trees, and every once in a while, I go there and pick a ripe story idea. That's as good an explanation for where story ideas come from as I can muster. WOW: Oh, so you are one of the lucky writers with access to magic land. (winks) Without giving it away, the ending has a bit of a twist and a touch of humor (actually throughout). Is this a pattern you follow in a lot of your stories? Wayne: I try not to think in terms of patterns. I go where the story and character lead me. I like writing humor, so a lot of my stories are funny, or I at least use humor to relieve the gloom. But sometimes humor isn't appropriate. The same with plot twists. Often they are necessary to a story, and other times they feel gimmicky. WOW: Great points. Not to mention, you have had a lot of success! You've been nominated for four Pushcart Prizes. What has that been like? Can we read any of those stories online? Wayne: Many of my stories are online, but to be honest I only remember one story that was nominated and that's probably no longer available. I'm not the most organized person in the world. WOW: According to your bio, you are retired and write quite a bit! What is your writing routine like? Wayne: I wake in the morning and go straight to my computer. Of course, that doesn't mean I write all day—I spend a lot of time critiquing stories written by others, playing computer chess and checking baseball news—but I also spend a good deal of time revising old stories and writing new ones. I've also joined a poetry writing group, where I write a poem a day, and I'm in a flash fiction group, where I write a flash story a week. “Blind Date” was probably an under 400-word story originally that was shaped through the years. Many of my stories have been written and revised over time. WOW: The groups sound great, and they really seem to encourage you to produce new material all the time. What's next for you in your writing life? Wayne: I've put together one collection of flash stories—Revealing Moments—which includes, “Blind Date.” I'd like to compile another anthology, maybe include some longer stories and poems. Other than that, I want to continue writing whatever feels right and whatever feels like fun for as long as I can. WOW: Thanks, Wayne. Best of luck to you! Hey flash fiction writers, we have another contest open. To check out the details and enter before 2/28/2015, go to the contest page. Fiona Ingram first toured with WOW! with the release of her first book in her Chronicles of the Stone series, and now she's back with the second installment, The Search for the Stone of Excalibur, which one reviewer described as being "filled with action and adventure, puzzles and ghostly presences, and stalwart companions ready to face any and all perils that come their way." 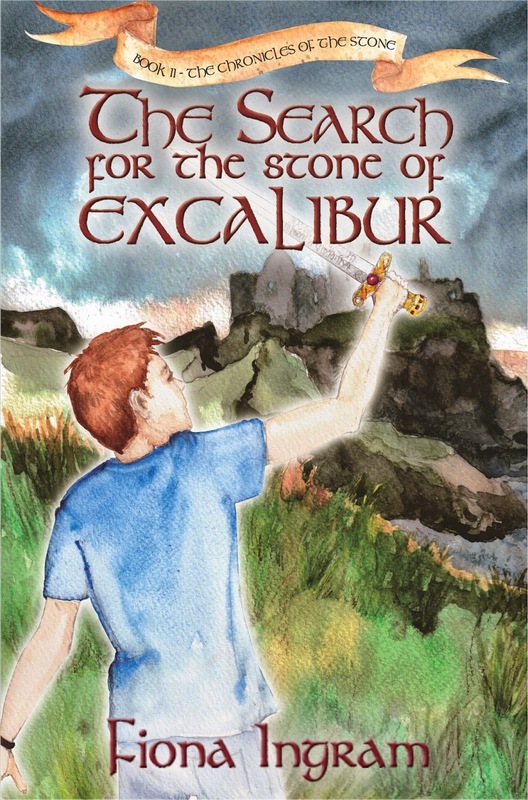 The Search for the Stone of Excalibur is available as a print and e-book at Amazon, Barnes & Noble, and IndieBound. To win a copy of The Search for the Stone of Excalibur, please enter using the Rafflecopter form at the bottom of this post. The giveaway contest closes this Friday, January 23 at 12:00 AM EST. We will announce the winner the same day in the Rafflecopter widget. Good luck! WOW: You originally toured with WOW! to promote your first book in this series, The Secret of the Sacred Scarab, and since then you’ve earned scores of contest wins and nominations. Can you give us an overview of a few of them? Fiona: I have been very fortunate to win or be nominated for 11 book awards, and this truly made a big difference to how people viewed my books. It enabled me to get a traditional publisher (Biblio Publishing) for my second book, and also a Japanese publisher for Book 1. The Secret of the Sacred Scarab has been translated into Japanese and is now available in print in that country. At the risk of blowing my own trumpet, here’s the list of wins and nominations. WOW: I am so impressed! And now very motivated to get back to my own MG and YA manuscripts, but that's another story . . . You seem like you've always possessed a very vivid imagination. I love the story on your website about the story you developed at age 10 as a way to entertain your younger brothers and their friends—can you share that anecdote with our readers? Fiona: In the ‘olden days’ in South Africa (which only got television in 1976), my parents (like many parents then) expected us five children to entertain ourselves. We had toys, a big garden, and lots of books, and we had each other. Night times were the best times because having a midnight feast was one of the pleasures of being in a big family. We’d get all set up with snacks and then I’d tell stories to my four brothers and their friends, plus the little girl next door who practically lived at our house. Of course the stories were dark and dangerous, populated with monsters like vampires, werewolves, skeletons and basically anything that could be considered as belonging to the class of the ‘undead.’ The setting was, by popular vote, an old castle called Gruesome Gables, and we were (of course) the young heroes. I never ran out of adventures and we always escaped. Later we graduated to ‘dinner theatre’ which was enormous fun. I realise now how patient and long-suffering my parents were. We would adapt stories from children’s books into plays, create a menu (my mom would have to get the ingredients), cook the food, write the play and act it out. My parents also had to pay an entrance fee for the ‘entertainment.’ Those were some of the happiest times of our lives. 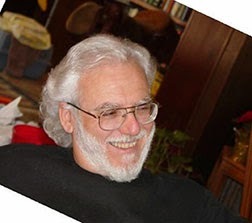 WOW: In our original interview with you, you described how it took you about three years from the initial writing of The Secret of the Sacred Scarab to your decision to publish with iUniverse. How long was the process this time around for The Search for the Stone of Excalibur? Fiona: Happily, as a writer I found that writing gets easier the more you write. When I wrote Book 1, I overwrote to a large degree. I put so much into that adventure that it would have ended up being enormous in print. That was basically my learning curve. I also had a full-time job in publishing so my time to write was limited. My wonderful mother, sadly now deceased, made everything possible for me by asking me to give up my job (stressful and exhausting) and stay at home to write and keep her company since she had become a bit frail. She supported me and enabled me to just push ahead with writing. Writing the second book took about two years, but publishing was delayed because of Mom’s health and her demise. All my books are dedicated to her. Without her incredible help I would not be where I am today. WOW: Your mother sounds like she was a very wise and amazing woman, and very supportive! Your books are full of rich characters, historical references and mythology, which obviously requires a lot of research before the writing even begins. What is that process like for you? Fiona: I absolutely love research and my own personal interests have dictated much of my choices. I already have either read around the topics I tackle or else have loads of books on various subjects. Interestingly enough, about halfway though Book 1, I began to see other plots arising and then decided to create a series. I did so much research then that clearly the four years I took to write it was well spent because by the end I had mapped out the remaining books, plots, locations and (very important) historical figures and ancient artifacts that play a part. WOW: The first book in the Chronicles of the Stone series is set in Egypt, and The Search for the Stone of Excalibur carries the main characters into Britain. From what I understand the next book will take place in Central America. Have you physically traveled to all the places in your books, and if so, did your travels play a large part in deciding where to set the books in the series? Fiona: Interestingly, while I was writing Book 1, I jaunted off to Britain to tour the castles in Scotland. It was fabulous and inspiring. I had an idea I wanted my subsequent books to unfold in different locations, using history, geography and archaeology as the foundations of my plots. For Britain, think King Arthur. For Book 3, I wanted something completely different and exotic. I am a big fan of Mayan and Aztec history so I thought, given such a rich and amazing history, it would be perfect. I so wish I could travel to all the places, but sadly the state of the South African rand does not allow me at the moment. I watch documentaries, communicate with experts in various subjects, and just hope my books do well enough for me to pack my bags and globetrot! I think my abiding interest in ancient history has played a significant part in my choices for future book locations. There is so much to offer young readers. WOW: I agree--there really is! We’d love to hear about your decision to adopt your daughter Mabel, who is from another race group, and how having her as part of your family highlighted the need for diverse characters in children’s literature. Fiona: Mabel arrived in my life the year my mom and I went to Egypt with my two young nephews. About three months after this trip, I had a visit from a domestic worker who had worked for me a few years back—she had a problem. She arrived with her daughter Mabel, now aged eleven. I remembered Mabel as an enchanting child aged six, all arms and legs and a big smile. But I got married, Josephine left my employ, and we didn’t see each other for another five years. Josephine came straight to the point and asked me to foster Mabel so she could get a better education. Thinking for the briefest of nano-seconds that nothing would change, I said yes. Of course, everything changed. I developed maternal feelings worthy of a lioness guarding her cubs from danger. I also became an expert on the shortcomings of our ever-changing education system, the life-cycle of any insect, reptile, or bird you care to mention, and in anything to help my foster child get an education. Mabel had already failed Grade 2, was advised to repeat Grade 4, and was basically illiterate. How is that possible, I asked myself? I began the slow and often painful task of teaching her all over again, supplemented by many extra lessons. Mabel baulked at first, having never had to apply her mind or develop motivation. She’d been told so many times she was a failure—what else was there to look forward to? Eight years later, she was scoring 70-80% in most of her subjects, had plans to be a writer (just like me!) and is an amazingly well-adjusted, charming, sunny-tempered young lady with a delightful sense of humour. She is a credit to her mother, Josephine, and to me, her Paper Mom (as she calls me, since I am legally her ‘mom’ on paper). I adopted Mabel in February 2009 at the specific request of both her parents, since they believe that with me she will “have a real life.” Those are her mother’s words, one of the bravest women I have ever known, for who else but a courageous and unselfish woman would willingly give her child to someone else for that child’s sake. Mabel has a bright future and I am proud to be part of it. Interestingly, Mabel and my youngest nephew (then ten) bonded and since I had already begun writing the second book and getting my plot and characters together, I was intrigued by this. Almost without my knowing it, the plot called for an extra hero, actually a heroine. I found that including a young girl from a disadvantaged background brought home to me, and I hope young readers, the need for children to see how other people live. My nephews, who enjoyed all the advantages of good education and a nice lifestyle, were utterly shocked that Mabel came from such humble and poverty-stricken origins. The whole experience brought home to me the need for including diversity in my children’s adventure stories and I find that as the plots unfold the messages come through loud and clear. WOW: I know there are several bloggers on your tour who agree with the need for diversity in children's books! Like so many writers, you wear many different hats. Can you tell us little about the other genres you write? Fiona: I am a big fan of Regency romance and cut my teeth on Jane Austen and other well known authors in that genre. One day my mother said she was tired of reading ‘the same old stuff’ from a big publisher of the genre and she was sure I could do better. So, to entertain her, I wrote my first Regency romance and completely by accident found a traditional publisher. They loved the book and then asked me if I had more stories. I said no, but I can write more if you like. I write under the suitably charming name Arabella Sheraton and writing those books was huge fun. My animal books fall under my own label, Caladrius Books. Basically, I find a sad-to-glad story about a rescued animal, and write about its journey back to health and happiness. I include serious material for adults, and then always a poem and a wonderful short adventure, starring the animal (written of course by the animal!) for young readers, plus tips on animal and pet care advice. The proceeds go towards the rescue site that saved the animal. It’s heartbreaking but so many stories like this abound, where an animal is saved only by loving, caring animal advocates. There’s no shortage of material. My aim is to hopefully write books that parents can use to show kids how important the qualities of love, compassion and respect for the animal kingdom are in our lives. 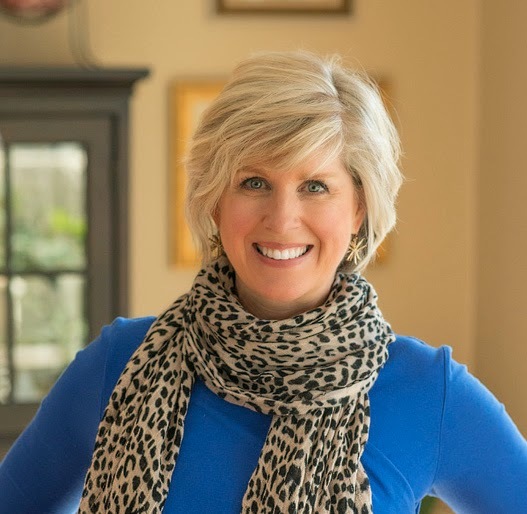 WOW: How do you juggle writing both for children and romance novels? Do you find it challenging? I’m curious if you are able to work on different manuscripts simultaneously or if you tackle one project at a time. Fiona: I do a bit of everything, in between teaching online novel writing and editing book reviews for a big book review site in the USA. While Mom was alive I forged ahead mostly with books for her to read. Having done seven Regency books now (available on Amazon), I have put them on the back burner for a bit. I have started a YA fantasy novel which is a new direction for me. Basically I do a big push on outlining and getting all my material ready, then I move between projects so I don’t get stuck or bored. I also find time away from a project results in my looking at it with fresh eyes. WOW: How is book number three in the series coming along? Fiona: Fabulously. My gifted artist Lori Bentley is working on the cover and interior images, and I am about to send the text to my editor. Hopefully, I’ll be doing another blog tour with WOW! very soon! Stop by for an interview with Fiona Ingram and a chance to win The Search for the Stone of Excalibur! Wednesday, January 21 @ Margo L. Dill, Children's and YA Author: Be Unique. Be Strong. Be Yourself. Children's author Fiona Ingram discusses how to get children to enjoy reading in a world filled with electronic media in this informative guest post. Jodi reviews Fiona Ingram's The Search for the Stone of Excalibur, book two in "The Chronicles of the Stone" series. Stop by for an interview with Fiona Ingram. Fiona Ingram shares "Five Fun Facts About The Chronicles of the Stone" series with the readers of Writing Room 101. Plus, an interview! Author Fiona Ingram stops by the PragmaticMom blog with a guest post on how teachers can assist children in writing creatively. So you’ve published your first book for young readers—what’s next? Fiona Ingram shares tips for marketing your children's book. Stop by for an enlightening guest post on the importance of diversity in children's books by Fiona Ingram, author of The Search for the Stone of Excalibur. Always ready to make a difference, Fiona Ingram discusses how she uses her talents writing for children to also help animal rescue organizations. Author Cheryl Carpinello shares her review of Fiona Ingram's novel The Search for the Stone of Excalibur. Jodi interviews Fiona Ingram about her latest book in "The Chronicles of Stone" series at Building Bookshelves. Renee offers her thoughts on The Search for the Stone of Excalibur. Cheryl Malandrinos of the Children's and Teen's Book Connection blog reviews The Search for the Stone of Excalibur. Enter to win a copy of The Search for the Stone of Excalibur! Just fill out the Rafflecopter form below. We will announce the winner in the Rafflecopter widget this Friday, January 23. There are two comedians who—every time I see them perform—make me snort and laugh out loud. When I watch them do stand-up I place bets on the absorbency of my pantyliner. Every single time they give stellar performances. I’ve never seen them have a bad night. I’ve never considered their performance merely mediocre. Sadly, one of them took his own life in 2014. But the other is Chris Rock. His delivery, his pointedness, his facial expressions make him irresistible to me. Recently Chris Rock was on the David Letterman show. Dave was speaking of Rock’s new movie, Top Five, and asked him how long it took to write the screenplay. Writers know this all too well. Most of the time, our first drafts are so far from stellar, they’re in another solar system. However, what we do with that horrible draft separates the whiners from the shiners. You may think there’s nothing of merit in the piece. It’s directionless. The characters are wooden. The ending isn’t anything to savor. Whatever. Have no fear. Your writing colleagues will be able to offer some possible solutions. Be sure to tell them what you’re wondering about, and I can almost guarantee they will deliver. Dive into some well-written books that would be on a bookstore shelf next to yours. There might be a line that makes your creativity explode. You might stumble on a strategy they used that you can modify. Even if you can’t point to one thing in particular you got from your little reading rest-stop, you’ll absorb and assimilate--and your own writing will benefit. Don’t delete that draft that’s stuck in Suckville. Save it. Examine it so you can see what is worth keeping, and slash the rest. Several years ago I finished NaNoWriMo victorious. In one month I had written 52,000-something words. I thought I had something clever and fresh and connected. However, after a closer look, along with my writing friends reading it (writing critique friends don’t let their friends write crap), I realized I’d spent a solid month suckin’. I licked at my wounds for a while, and then I read. I read lots. Freeman by Leonard Pitts, Jr. NOS4A2 by Joe Hill. 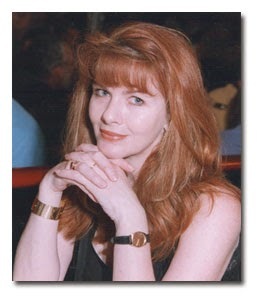 Sandra Dallas. Jodi Picoult. And when I read Pat Conroy’s South on Broad, Conroy gave me a gift: a three-word question that I am going to use towards the end of my WIP. 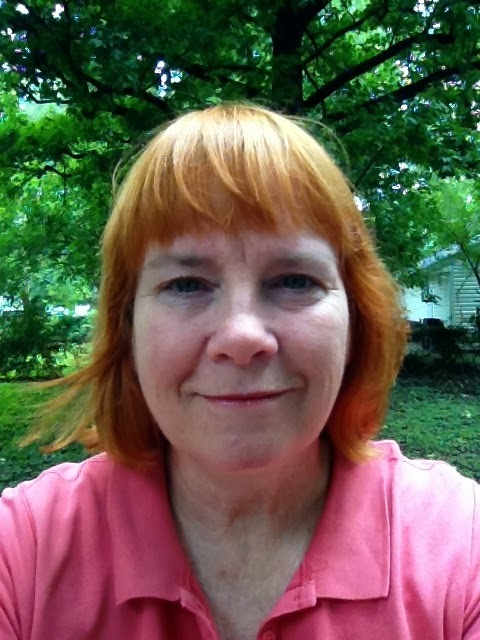 Sioux Roslawski is a freelance writer in St. Louis, along with being a 3rd grade teacher. Her stories appear in fourteen Chicken Soup for the Soul anthologies, along with several volumes of the Not Your Mother’s Book series. She’s quite proud that there is only one set of ellipsis in this post (It’s a miracle!) and is hoping that—when it comes to her WIP—she’s out of the suckin’. More of Sioux’s musings can be found at http://siouxspage.blogspot.com. Clearing the books helped me write. In previous installments about the writing life, I’ve bemoaned periodically clearing a messy desk. Along my way to becoming a productive writer, magazines of defunct magazines grew to sizes larger than a small child. Returned homework from my children has piled high, no matter how quickly we tried to recycle the papers. I've reviewed and kept many fabulous writing craft books and bought many others. With the new year, my family and I were looking to reduce our clutter…and stay on top of it. In the fall, I spent one weekend paring down two filing cabinets to one. I tossed outdated clips or paperwork. Another weekend was spent clearing out an attic bursting at its seams. The attic decluttering included coaxing a reluctant child into relinquishing containers and containers of clothes filled with several pairs of full-length pants that had long ago become unwilling capri pants. In many ways, I thought my clearing out was done. Somewhere in all my leisure time, I ran across a statement I’ll paraphrase: Once you know how to write, you don’t need a book to tell you how to write. I peered at my bookshelves overflowing with books on the writing craft. It was my version of the pants that had become unwilling capris. I have yet to inhabit a dedicated office for writing, so my books spill out of every nook and cranny throughout our cozy home…contributing to the household clutter. In past years, I’ve been focused on reading this latest craft book or that. Placed among those mountains of precious books of craft are the books that friends and family have recommended or gifted. Many of these had been overwhelmed by the appearance of productive writing and the craft books attesting to the productivity. The more I thought about it, the more I realized that, in fact, these how-to-write books had been blocking me from making writing progress. I turned the table on myself and spent nearly a day clearing my clutter. 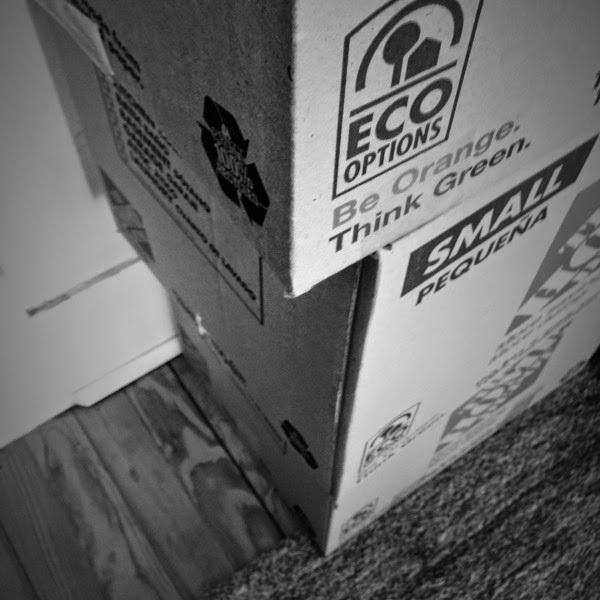 Yes, nearly a day, locating and packing up more than three boxes of craft books or research books for works-in-progress that are currently in a holding pattern. I'm putting the boxes aside and, hopefully, I will be able to unpack them in a dedicated office space one day soon. In the meantime, I’m embracing the clutter-free spaces, stretching out and writing in my recently uncovered notebook. Elizabeth King Humphrey is a clutter-free writer, editor, and teacher. Her free guide, Harmonizing: Find and Communicate to Your Audience, helps health and wellness professionals communicate with their potential clients. Join Karen Cioffi's upcoming online class, Become an SEO Writer in Just 4 Weeks! Click here for details and enrollment. Flash Fiction 1st Place Winner, Ellyna Ford Phelps! You can read Ellyna's winning contest entry here. Find out more about Ellyna, her story, and more in our chat with her below! WOW: Congratulations on your first place win in our Summer 2014 Flash Fiction competition! What inspired you to enter the contest? Ellyna: A member of the writing group I’m involved with in Taipei shared a link about the contest almost a year ago, and I've since been following WOW’S Facebook page. I've wanted to enter the contest for a while, but my stories seem to take on a mind of their own, and it’s rare to have one under 750 words. I was excited when Still Breathing met the word count limit, but also nervous, since I knew the story was a bit gritty. I’m glad I decided to enter! WOW: We're glad that you decided to contribute! Can you tell us what encouraged the idea behind your entry, Still Breathing? It’s a haunting story that really affected me. Ellyna: For nearly two years now, I've been working on a crime fiction novel about an organized crime family involved with human trafficking over two generations. It’s been a long process, partly because the novel has been developing with my own writing skills, but also because the research required for the project is terrifying and, as you mention with Still Breathing, haunting. There are times when I've had to walk away from the novel, but that action itself always brings me back, as it reminds me of part of the problem with human trafficking. Despite the fact that it’s such a HUGE global and domestic issue, it’s something easy to put out of mind, as it’s often out of sight or hidden cleverly in the open. Still Breathing started with a memory that kept repeating itself in my mind this past spring, which was the beginning scene, with the elk being gutted and skinned. At the same time, I was fascinated by an organization called Truckers Against Trafficking, who I first heard about through my brother, himself a trucker. This organization trains truckers to help trafficked victims. It’s inspiring, and I knew I wanted to write a story about it. When I finally sat down to write the story this summer, the image of the elk is what came first, and from that Still Breathing poured out. I expected it to be a longer story, maybe 3000 words, but then I realized about 700 words in that it was complete. WOW: I understand that you plan to give your cash prize to an organization that works with trafficked girls, and are looking for one in North America that goes directly to girls. Have you found a good one that you’d like to share with our readers? Ellyna: There are a lot of organizations doing wonderful work to fight trafficking worldwide, so it was difficult to decide where to donate. Since the story takes place in North America, I decided to give the cash prize to two organizations that aim to help people trafficked domestically: Truckers Against Trafficking, which inspired the story, and Covenant House, which fights domestic trafficking by reaching out to homeless youth and runaways, who often fall victim to traffickers. WOW: Those seem like wonderful organizations, and perhaps our readers will be inspired to check them out. Switching gears, can you tell us what brought you to Taiwan? What’s it like being an English teacher there? Ellyna: My husband and I get this question a lot! We got married five years ago and moved to Taiwan a week later. My husband knew he wanted to teach English as a second language, and I thought it would be something interesting to try. I was pleasantly surprised to discover that I love teaching, and it has since become a career for me. Taiwan has been very good to us. In our experience, it’s a very safe country with wonderful people. There are jobs available for native English speakers to teach English to all age levels, and English teachers are given national health care and in most cases, a great deal of respect professionally. WOW: Thanks so much for chatting with us today, Ellyna. Before you go, can you share your favorite writing tip or advice with our readers? until February 28th, 11:59 PM (Pacific Time). For details and entry form, visit our contest page!